Lisa Pont has heard plenty of skepticism about video game addiction and whether it’s truly a medical condition that should be classified as a disease, as the World Health Organization plans to officially do in a couple of months. “Some people think it trivializes other diseases. People think, ‘Oh my God, how can you get addicted to gaming? Just put [the controller] down,’ or like, ‘Please, then anything can be a disease,'” says Pont, a social worker at the Centre for Addiction and Mental Health in Toronto. A CAMH study released in 2016 estimated 13 per cent of Ontario students — or almost 123,000 kids — have experienced symptoms of a “video gaming problem,” which was up from nine per cent in 2007. About one in five boys reported having “problematic symptoms” linked to their video gaming. The WHO has been studying the issue since 2014, while the American Psychiatric Association has flagged “internet gaming disorder” for further study and consideration in its Diagnostic and Statistical Manual of Mental Disorders (DSM) since 2013, but has not yet moved forward with it. They are two of the main groups the medical community in Canada looks to for guidance on diagnosing and treating patients. “It may not have the same prevalence as some other disorders but … I get a call at least once every two weeks from a parent who says, ‘I can’t get him off his computer,’ or ‘I can’t get him off his cellphone because all he wants to do is play these games,'” Derevensky says. He suspects the DSM will eventually include video game addiction as well, although the process to update the guidelines moves slowly. The last update in 2013 was 14 years in the making. A coalition of video game organizations, including the Entertainment Software Association of Canada, has called on the WHO to abandon its plans to add gaming disorder to the ICD. Calgary native Cameron Adair is a reformed gaming addict who has turned his recovery into a full-time business, Gamequitters.com, which offers a how-to ebook and one-on-one coaching along with free resources. 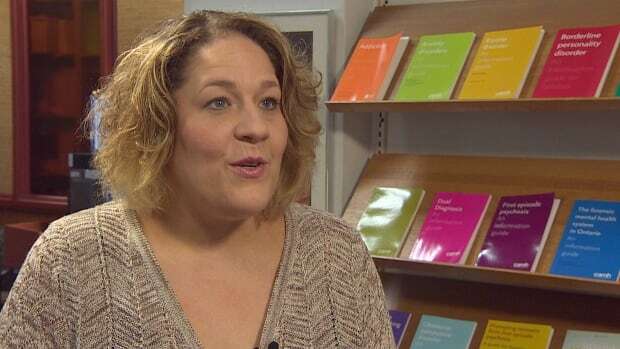 The 29-year-old’s work to help others break the cycle of addiction was recognized last year by CAMH, which included Adair on a list of Canadian “difference makers” in mental health. Adair believes the spotlight the WHO is putting on video game addiction will be crucial in legitimizing the issue and getting more help for young people. “There’s a lot of resistance around this being an addiction and I think that comes from just a lot of misinformation,” Adair says. Adair sees to the rise of lucrative competitive video gaming, called esports, as “a coming storm.” He notes that excessive game playing led to his dropping out of high school, and that was before elite players were being treated like celebrities online. Pont says there’s a lot of confusion about how to get help for a video game addiction but a good starting point is speaking to a family doctor. Among the treatment options in Ontario are counselling at CAMH, and an in-patient video game and internet dependency program at Hotel-Dieu Grace in Windsor, Ont.